Get to know our team of veterinarians here at Bergen County Veterinary Center. 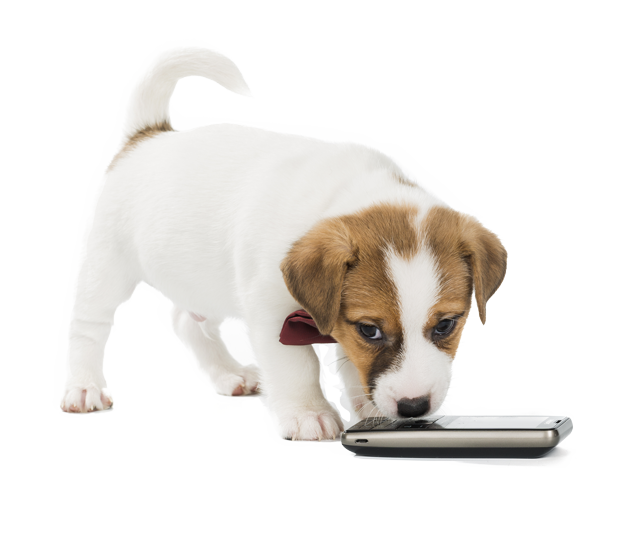 Our experienced veterinarians will provide the best care possible for your pet! 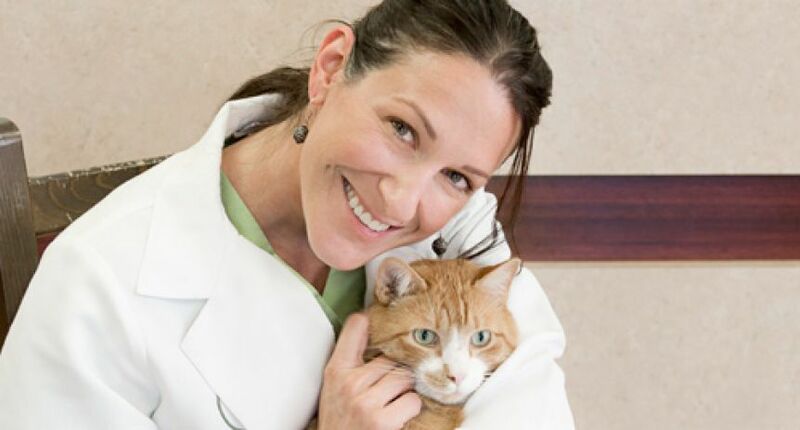 Dr. Jill Shiffman graduated from Ross University, School of Veterinary Medicine with high honors in 2003, after completing a year of clinical training at the University of Florida, School of Veterinary Medicine. Her education continued during an internship in Equine medicine at the Virginia-Maryland School of Veterinary Medicine. Dr. Shiffman has spent the past thirteen years dedicating her time and efforts to providing the best possible care to each and every one of her patients. 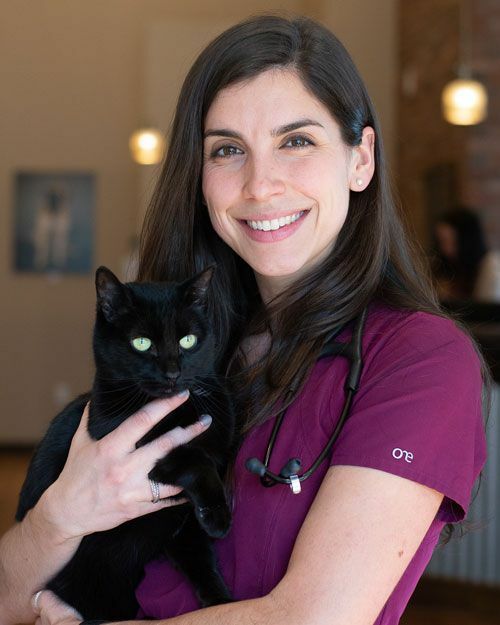 In addition to her vast knowledge and experience with veterinary medicine, Dr. Shiffman has mastered the art of fostering relationships with her patients and their owners. 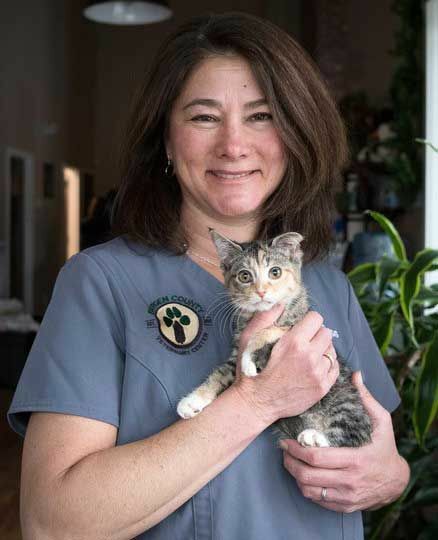 Bergen County Veterinary Center is the culmination of all of Dr. Shiffman’s dreams and aspirations; it is a place that reflects her as a person, as well as her passion for enhancing the human/animal bond. Dr. Shiffman is attentive, compassionate, sympathetic, and professional, yet also extremely down to earth. Dr. Jaclyn Homan-Lewis grew up locally, in Huntington, New York. She then moved south to college, completing her undergraduate degree in biology at Loyola College in Maryland. 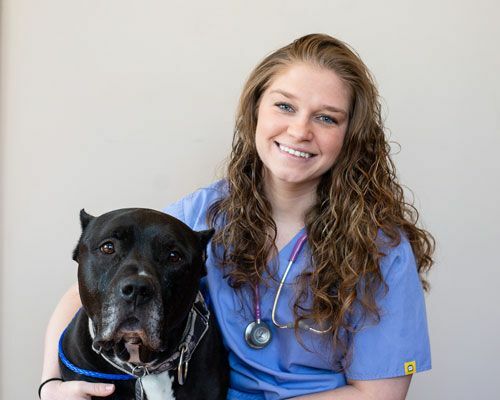 She received her veterinary degree in 2009 from Ross University School of Veterinary Medicine and finished her clinical year at Purdue University Veterinary School in Indiana. 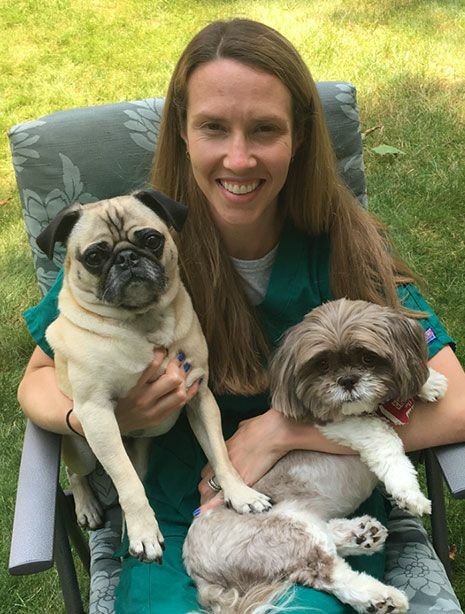 After graduation, Dr. Lewis returned home to the New York area where she worked at a large, 24-hour veterinary emergency hospital in Long Island area. Before joining BCVC, Dr. Lewis worked at West Chelsea Veterinary in Manhattan where she truly enjoyed the fast-paced city environment. Dr. Lewis is now living in Wyckoff, New Jersey with her husband and two sons and has found her new work family at BCVC! It is common practice to find Dr. Lewis on the floor with her patients, getting kisses as well as giving them. In the medical world, her primary interests include small animal medicine, radiology and above all quality patient care. In her free time, she loves to travel, spend time with her family and friends as well as spend time outdoors with her two dogs, a rambunctious Pug, named Gus and a special, rescued Shih Tzu Mix, named Willy. Dr. Laurel Gess is a 1993 graduate of the University of Georgia College of Veterinary Medicine. Originally from Charleston, SC, she has lived and worked in Northern NJ since graduating, with a short interlude in Atlanta, GA. She enjoys all aspects of small animal practice and strives at all times to put the best interests of her patients first. She is certified in low stress handling and restraint and employs these techniques to make veterinary exams and procedures a positive experience for everyone involved, especially her patients. Dr. Gess works with us at BCVC 2-3 days/week and is otherwise on the road doing house calls with her mobile practice, Got Pets Mobile Vet. She keeps busy with her family, including her husband, two teenage boys, two dogs (Beau and Capers) and two cats (Mason and Dixon). Her house has also been home to many foster pets, pocket pets, and reptiles over the years. Dr. Gess enjoys the outdoors and can often be found running, hiking, or kayaking, usually accompanied by Capers. Dr. Leah, originally from Washington Twp, had the privilege of growing up on a working Horse farm in NJ and NY. Her Family bred, raised and showed Quarter Horses and Standardbred Race Horses. As a young child, Leah knew that she wanted to work in a field that helped both people and animals.She saw the great benefits of Chiropractic for both herself and her own horses growing up. After graduating from NC State University with degrees in Biochemistry and Animal Science. She received her Doctor of Chiropractic degree at New York Chiropractic College. Dr. Leah then pursued her American Veterinary Chiropractic Association (AVCA) certification and completed the 215-hour animal program at Parker University in Dallas, TX. She then sat for the AVCA exam in Oklahoma. She is now an AVCA Certified Animal Chiropractor. You can visit www.animalchiropractic.org to learn more about the program and animal chiropractic. As Board Certified Chiropractor and an AVCA Certified Animal Chiropractor, she can now follow her passion, helping people and animals live the BEST quality of LIFE possible through Chiropractic and Wellness care. 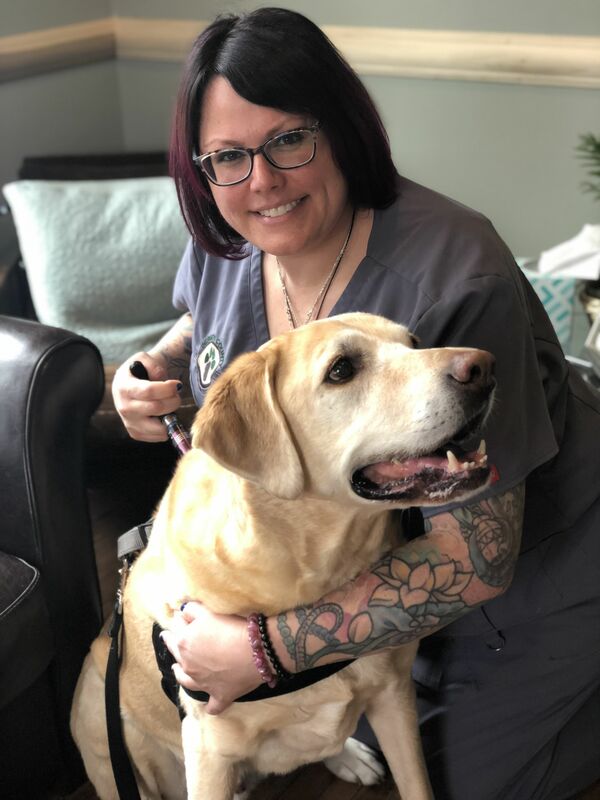 When not at work, Dr. Moore enjoys spending time with her dog Mookie and cat Sunny and can often be found laughing in the company of her friends and family. Her two favorite vacation spots are Adirondack, NY and Wilmington, NC where she can enjoy some of the things she loves most; boating, ATV’ing, and snowmobiling. Dr. Moore is also USDA AFIS and VBMA certified. Dr. Deirdre Halloran was raised in Bergen County by a zookeeper mother who packed the house full of fur babies, and a NYC-raised father who reluctantly learned to love them. She completed her undergraduate degree as a double major in Biology and Religion at Boston University, and went on to receive her Doctorate in Veterinary Medicine at Cornell University. She was lucky enough to have started her career as a general and emergency practitioner in Phoenix, Arizona but is very excited to have made her way back home. Her medical interests include surgery, emergency medicine, pain management and palliative care. She has a special interest in outreach/field medicine where she can provide low cost or subsidized veterinary care for animals and their humans in need. Outside the clinic, she can be found in the woods or on a run...or perhaps just curled up with a good book and her two cats, Samson and Delilah. Dr. Halloran is passionate about treating your four legged family as she would her own, and is very excited to join the dedicated nurturing BCVC team to help her do just that! Dr. Halloran is also USDA AFIS certified.